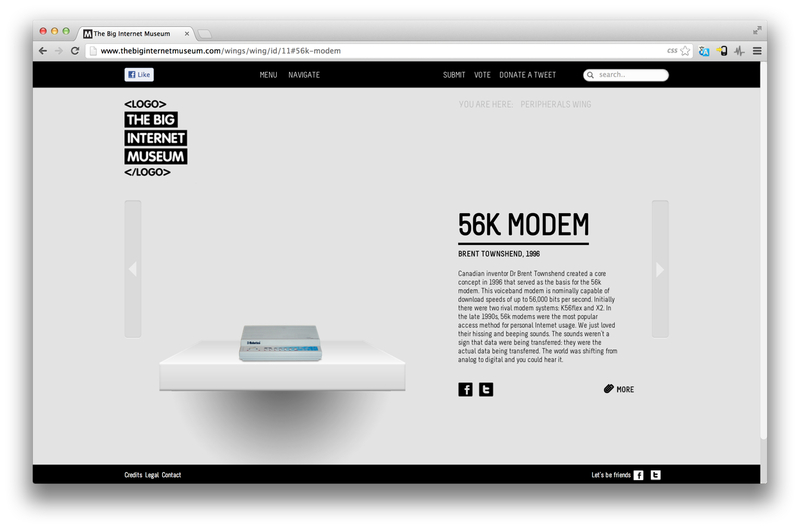 If there’s going to be a museum of the Internet, it may as well be online. 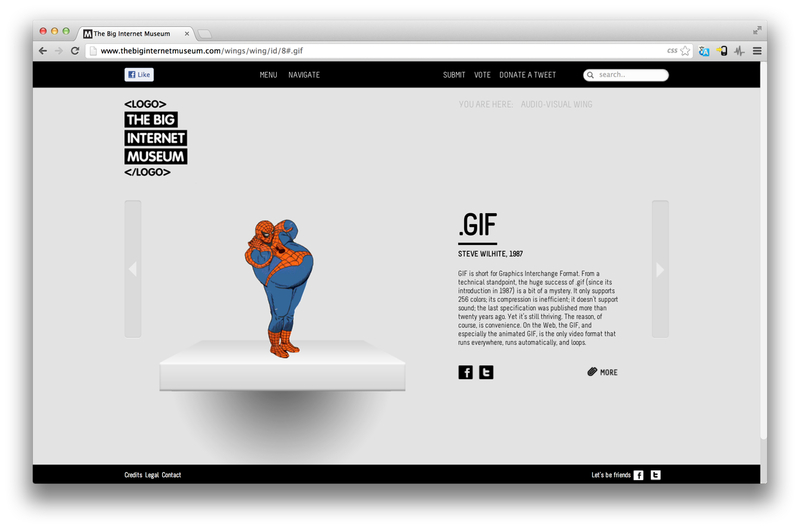 The Big Internet Museum has launched with the aim of taking that mantle. Dividing into numerous ‘wings’, such as Audio-Visual, Social Media and Gaming, the museum site lets you navigate through ‘exhibits’ from the history of online life, from Arpanet and Usenet to YouTube and Instagram. A special will be filled with temporary exhibitions from time to time. If there’s something you think is missing, you can submit ideas for future exhibits. It’s pretty simple stuff – each exhibit has an image and a short piece of text, but for children or young people who weren’t around for the earliest years of the Internet, this is a nice introduction to subjects they can then go away and study further. It would be nice to have Wikipedia links added for this purpose. The museum has been created by TBWA\Neboko in cooperation with Mediamonks, and while it lacks the ability to get up-close to physical curios from the Internet’s history – like you can at places like the National Media Museum in the UK – it’s a nice way to jog your memory about things you’d forgotten about, and maybe even learn a thing or two, too.